Drop into Dirty Martin's for some of the juiciest burgers in Austin. When you walk into Dirty Martin’s on 28th and Guadalupe, you are comforted by the sight of a simple lunch counter, inviting booths and the hum of the open kitchen. Either take a seat inside and soak in the liveliness of the kitchen, or relax outside on the patio on a sunny day, beer and burger in hand. Regardless, you’re going to have a good time and an even better meal. 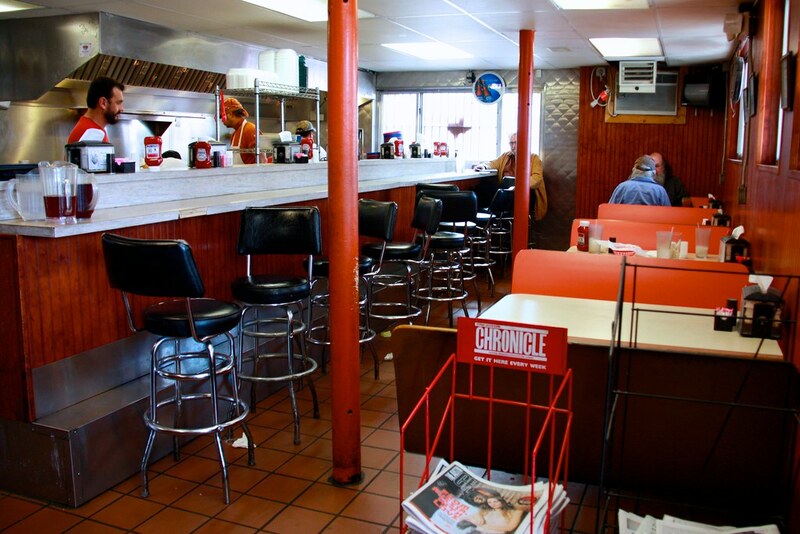 You will find yourself mesmerized by the smell of their classic burgers or the sizzle of Dirty’s chicken-fried steak. Although its menu is extensive, staples at this joint include Texas favorites like fried pickles and Frito pie as appetizers. Burgers are Dirty’s bread and butter, even more true considering Dirty’s buns are generously buttered. 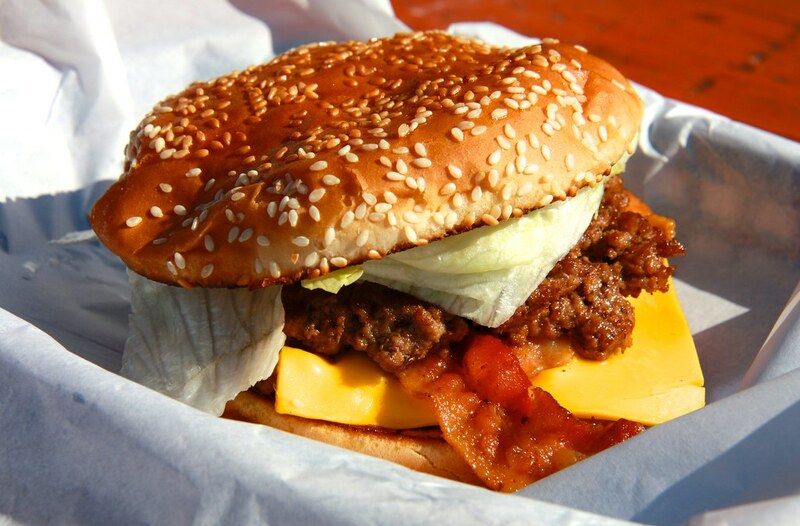 Favorite burgers include the OT Special, a double-meat and bacon cheeseburger and the Chili Cheeseburger. The chicken-fried steak sandwich is a concept Dirty’s has perfected as well. Upon arrival, our photographer Kathleen and I had to make some difficult choices. To start, we decided to split the fried pickles. Dirty’s makes fried pickles in the form of thin discs as opposed to spears. 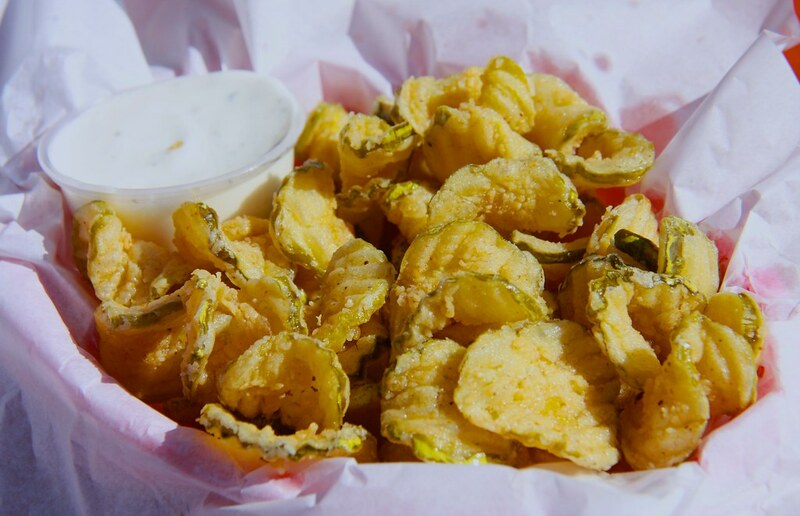 The discs allow for a crispy and crunchy fried pickle without the common sogginess problem of the spears, and are a perfect balance of salty and savory. To really quench our appetites, each of us ordered one of the most prime burgers in Austin. 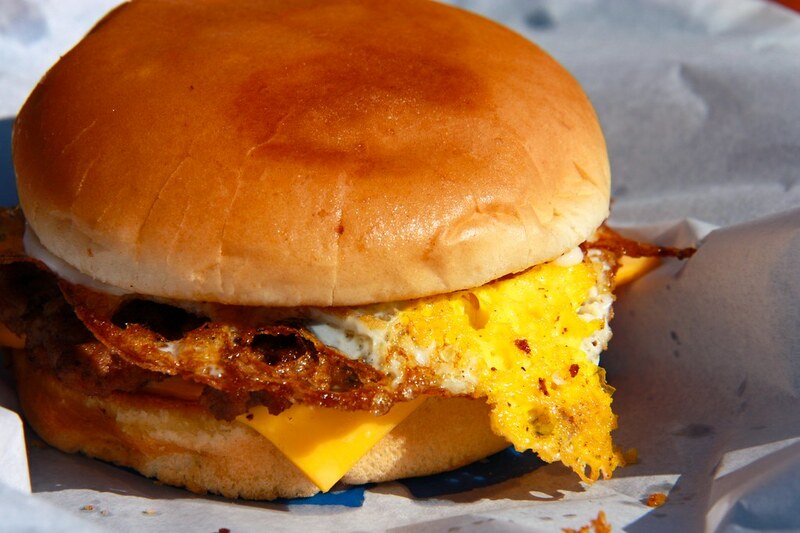 When the classic cheeseburger (topped with a fried egg) and the OT Special arrived at our patio table, it was hard to resist taking a bite before first taking a picture for this article. Arriving in perfect form– complete with cheese pouring over the patties, and buns glistening with butter– we tried to pace ourselves and appreciate the truly perfected art of our burgers. I went face first into my juicy, savory and exquisitely crafted burger behemoth. The last thing I remember is the pleasant crunch of the bacon and the moisture of the burger juice on my beard as I went into burger blackout. Unfortunately, it all came to an end and I’ll have to wait until next time for burger ecstasy. For those of you who enjoy the simplicity of the perfect burger, try out Dirty Martin’s and experience the joy for yourself.